Archbishop Thomas Cranmer, architect of the Church of England’s XXXIX Articles and author of the vernacular Book of Common Prayer, went on to have a great many syllables spoken against him, principally by those who were suddenly aware that royal patronage had shifted, religion reverted, and those whose theology and beliefs were once in favour became the new outcasts and heretics – ‘a pestilence/That does infect the land’. Such is the ebb and flow of spiritual myopia and religious fanaticism. I had no crystal ball, and had certainly paid no visit to Ladbrokes, but it seemed to me that the +Justin was uniquely gifted to lead the Church of England through the next decade of its fraught, sometimes murky and often muddled existence. And I don’t mind my church being any of those things, incidentally: life can often be so grey and imprecise that to belong to a church which incarnates latitude and tolerates competing and often-conflicting conceptions of the good is, to me, something of a comfort. Some find it puzzling that this nominated archbishop has attracted such unanimous Anglican affirmation – from the liberals and conservatives; the Evangelicals and Anglo-Catholics; the nominal and the devout. 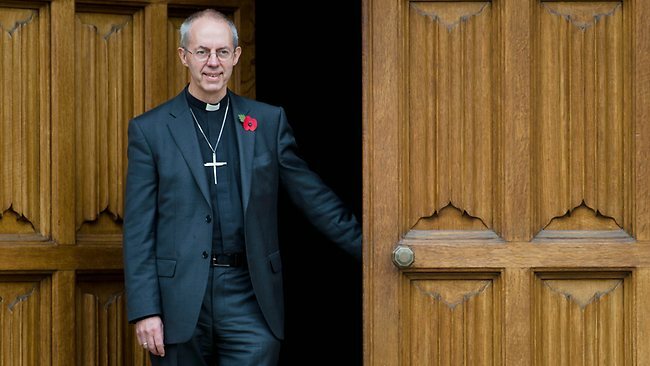 Justin Welby has been universally welcomed by all the warring factions and disputing divisions within the Church of England, giving some hope and expectation that its crumbling stones might now worship as one, and its half-empty pews might sing in a little more unison. A few, however, are already carping, and they’re not all secularists or humanists. Those who are expecting +Justin to be dogmatic and uncompromising appear not to understand that his position is not equivalent to that of the Pope; there is no absolute authority in the Anglican Communion. The Archbishop of Canterbury is Primus inter pares; leadership is delegated and accountability localised, and the Church’s theology has morphed and syncretised over the centuries to accommodate diverse and disparate histories, geographies, cultures and traditions. In England, these are fused with 1800 years of Christianity, 500 of which have been expressed through the Church of England which been the legal, theological, spiritual and ecclesiological cornerstone of English identity before and through the Reformation, Enlightenment and the Industrial Revolution. Of necessity, the Church has had to adapt itself to the political and sociological needs of each age. To those who are expecting +Justin to fail or are waiting to find an excuse to be disenchanted, it is worth remembering that the Church of England has a legal and constitutional commitment to nationwide pastoral ministry. To some, it might appear paternalistic, dogmatic and narrow in its worldview. To others, it is weak, illegitimate and compromised. It claims to be Catholic and Reformed, but to each wing it is actually neither sufficiently Roman nor robustly Protestant. It was once remarked that the Church of England is ‘crucified between two thieves’ – the fanaticism and superstition of ‘the Puritans and the Papists’ respectively. This may satisfy nobody completely, and yet it is the via media which has sustained its existence over five centuries, perhaps because it expresses something of the English disposition. In an increasingly secular and pluralist context, there can be no coercive state theology and no insistence that even a cohesive theology should be necessary. The Monarch, as head of state, is edging slowly toward being ‘Defender of Faith’ rather than ‘Defender of the Faith’, and the Prince of Wales has already made his views known on this matter. It must be observed that Justin Welby is most likely to be the Archbishop of Canterbury who will preside over the funeral of the present Queen and will then go on to crown King George VII (as Prince Charles wishes to be known). It will be a year of calculated constitutional wrangling while the nation grieves for its loss. I do not believe that Archbishop Justin will preside over a crude sacred/secular, church/state or private/public division while he inhabits Lambeth Palace: he is far more nuanced than that. My suspicion is that he will defend the Anglican settlement from the aggressive humanist-atheists who demand ‘neutrality’ in the public sphere, and he will do so by speaking truth to power – in particular the historic truth that the English state is not concerned solely with matters of economics and questions of the material, but with people’s welfare in respect of a right relationship with God. For as long as the Head of State is also Supreme Governor, the Crown is concerned with both the material and spiritual. The Church of England remains a privileged participant in the political system, whether this be through archaic laws that prohibit the troubling of any preacher duly authorised to preach; prayers at the beginning of each sitting day of Parliament; or the presence of 26 Bishops in the House of Lords. Yet this privilege is tempered if not countered by the relative weakness of the Church’s social and cultural position: its influence on public policy is reduced because its values (we are told) are no longer shared by the majority of the population. If the Established Church’s values are the preserve of the minority, and its democratic legitimacy is thereby neutered, by what reasoning should it retain a privileged position? The reality is that those values are woven into the fabric of society. Whichever conception of the good is advanced by the state, it cannot be neutral, for neutrality is itself only asserted and advanced by a particular conception of the good, which cannot be neutral. The genius of Anglicanism is that it can reconcile opposing systems, rejecting the extremes, showing that the principle for which each stands has its place within the total orbit of Christian truth. Some will view this via media as ‘fudge’, lukewarm compromise or intellectual expedience. To me, it is a quality of thinking, a ‘living tension’, rather like much of real life. And it happens also to be scriptural, for Christians are exhorted to become all things to all people. If +Justin is to lead a church which speaks prophetically to the entire nation in all its diversity and plurality, he will make himself ‘a slave to everyone, to win as many as possible’. With apologies to St Paul, the new Archbishop will be a Tory to the Tories, in order to win them. To those under Socialism, he will become like one under Socialism (though he himself may be no Socialist). To the Liberals he will become like one who is liberal (though he is not liberal but under Christ’s law), so as to win those who are liberal. To the weak he becomes weak, to win the weak. 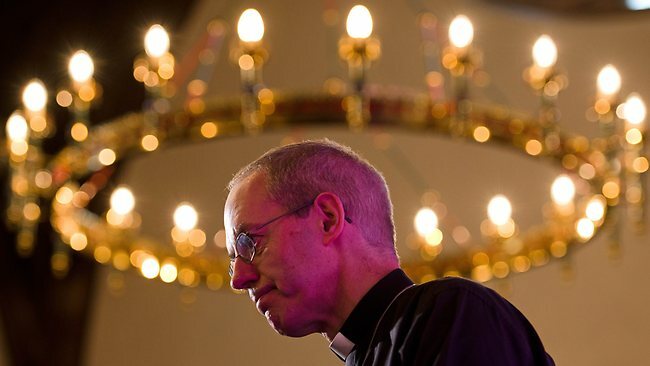 Throughout his entire Christian life, Justin Welby has been becoming all things to all people so that by all possible means he might save some. And in Lambeth Palace he will doubtless continue this journey, for the sake of the gospel, that he may share in its blessings. So, don’t expect theological absolutism, ecclesial autocracy or assertions of spiritual authority, for that simply isn’t the Anglican way. With authority dispersed, spiritual tyranny is prevented. And in this model of governance, we find the ‘broad church’ of England, incorporating Protestants, Evangelicals, conservatives, liberals, Anglo-Catholics, agnostics, humanists and permutations of various fusions of these held ‘in tension’. All things to all people – and thank God for that. This entry was posted in Church of England and tagged Anglicanism, Archbishop of Canterbury, BCP, Christianity, Church of England, Enlightenment, House of Lords, Industrial Revolution, Justin Welby, Mission, Monarchy, Pluralism, Reformation, Secularism, Shakespeare, Thomas Cranmer, UK Constitution, XXXIX Articles by Adrian Hilton. Bookmark the permalink. With all due respect to Archbishop Welby and sincerely wishing him success, it is not possible to be “all things to all people” without arousing controversy. It behooves each individual to choose salvation, all a person in the Archbishop’s elevated position can do is to lead by example. By attempting to sympathise and agree with one and all points of view the risk of appearing insincere is inevitable. Best to outline clearly what our personal stance is and then work from that platform to attempt to reach understanding with those people of a different opinion. Queen Elizabeth II is a prime example of this tried and true formula: yes there are anti-royalists amongst her subjects but everyone respects her nonetheless and she reigns with a firm but sympathetic hand. What best example to emulate than her Majesty? I’m afraid he doesn’t appeal to me. I wish he did. They should have chosen York. Durham strikes me as all style and no substance. Thank God we have someone who prays; who is accepting of Women in the Church – together with their invaluable ministry; and is properly dismissive of homophobia. I really do think +Justin is our man – for the whole Communion, not just the Church of England. May God richly bless his ministry. No, he should be like John The Baptist, a voice crying in the wilderness to bring the state back to God. Not a twig that will follow the prevailing winds of the day. Good Luck to him through.